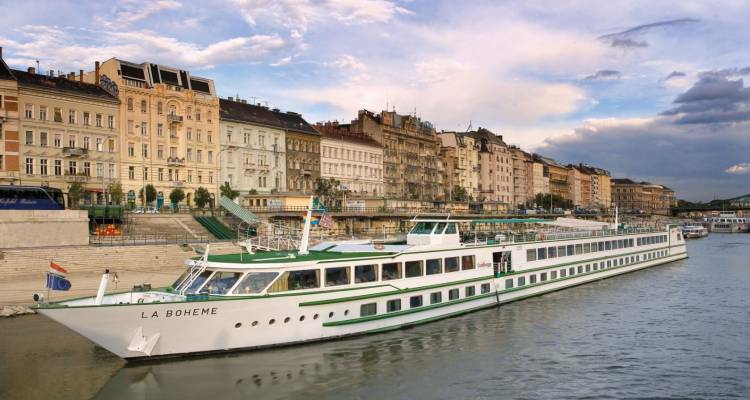 La Boheme, a magnificent work of art of CroisiEurope, has been built in 1995, but went through a complete transformation in 2011. The result is one outstanding sailing vessel, perfect for Danube and Rhine river cruises, which can host up to 162 passengers in its up to date interior decor. The 80 cabins, as well as the public areas, give an air of utter relaxation: the way in which wooden elements are combined with heavy touches of dark blue give an instant sensation of genuine serenity and quiet.